Hillary Clinton says she wants to get big money out of elections. One of the ways she wants to do that is to curb the influence of big donors by using federal matching funds to mobilize lots of small donors. This reform idea has become very popular recently, thanks to the concern about super PACs and billionaires that has been growing since Citizens United. But the idea is an old one. The first serious small-donor programs began more than 100 years ago, and they have been working more or less continually ever since, without getting much public attention. It is because of them that we now have more small donors than at any other time in our history. The history of those programs, however, does not suggest that a small-donor democracy has ever been, or ever will be, within reach. The idea first took hold as a serious reform in the 1908 presidential election. The Republican party had been burned by scandals about the 1904 election, which turned out to have been financed mostly by a few big Wall Street donors. In 1908 both parties reacted by very publicly launching serious attempts to recruit small donors. This was not a one-time event, either, something the parties abandoned once the scandals had faded from popular memory: by 1928 the RNC had thirty-six times as many donors as in 1904. (DNC records are too spotty to make a similar calculation.) The numbers for both parties went up again after the Depression and World War II, and when President Obama ran for reelection in 2012 he had more than 1,000 times as many donors as the Republicans had in 1904. That is an impressive number, but not impressive enough to justify the persistent belief that small donors can counter big ones. Obama’s 3.6 million small donors made up 82% of those who gave to his campaign committee, but they accounted for only 28% of the committee fund. Which means that 72% was provided by only 12% of donors. Add super PAC and other outside money raised and spent for Obama, and those small contributions made up only about 19% of the total. The same pattern appeared in New York City’s small-donor program, which is seen as a model for the rest of the country. Using public funds to provide a six-to-one match for contributions of $175 or less, the program has recruited tens of thousands of new, small donors. And they are more diverse — by income, education, race, and ethnicity — than traditional donors. Another measure of the program’s success is that more than two-thirds of the people who made contributions in the city’s 2013 election were small donors. But those small donors provided only a little more than 10% of the total amount contributed; 90% came from less than one-third of the donors. 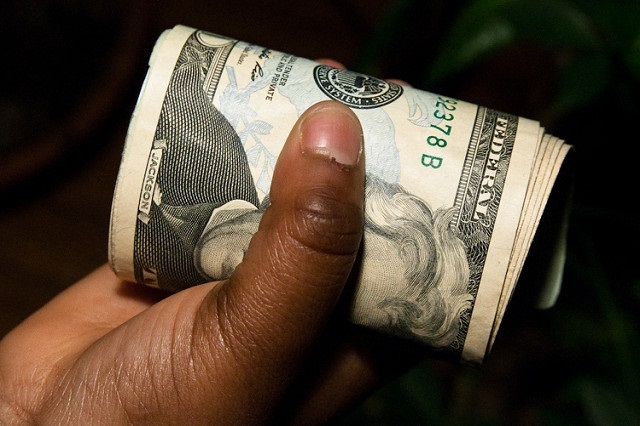 Girl Holding Roll of Bills in her Hand Money Bankroll by Steven Depolo. CC-BY-2.0 via Flickr. This pattern is not an artifact of Citizens United. It has appeared in every major-party presidential campaign fund for which we have records, which suggests that it is an inherent feature of privately funded elections. If small-donor programs are going to free candidates from being beholden to big donors, then they will have to reverse the pattern: mobilize enough small donors to provide 70 to 90% of campaign funds rather than 10 to 30%. If there were any chance of bringing about change on such an earth-shaking scale, we would have seen some sign of it over the last 100 years. What we have seen instead is that it is very hard to get previously uninvolved citizens to make campaign contributions. Creating a small-donor democracy would mean continually mobilizing tens of millions of people, election after election. That has never been done before and there are no mechanisms for doing it now. Public funding vouchers may be the incentive needed to create such mechanisms. Rather than giving subsidies directly to candidates, a voucher program would distribute a fixed sum of money to registered voters. The vouchers could be used only to make campaign contributions, so they would give every voter something that every candidate would want very much to get. Under small-donor programs, candidates devote time and money trying to persuade otherwise uninvolved citizens to part with money they would rather spend on something else. Under a voucher program, candidates would devote time and money advising citizens on how to allocate money they can only spend on election campaigns. Voucher programs have not yet been tried at any level of government — the program that Seattle passed in 2015 will take effect in 2017 — but they should spur the creation of thousands of local political organizations. Politics requires organization. The problem with small-donor programs is that they are organized to increase the number of small donors, but not to organize the donors themselves. Millions of unorganized donors are a statistic, not a political force. They look good on disclosure reports, but without organization they cannot have the kind of policy-making influence that would justify the term “democratization.” People have been chasing the dream of a small-donor democracy off and on for more than 100 years. The chase is on again, but the goal remains as illusory as ever. Featured image credit: Elections in Kodiak by NicoleKlauss. CC-BY-2.0 via Flickr. 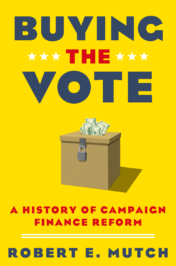 Robert E. Mutch specializes in the history of campaign finance, and the author of Campaigns, Congress, and Courts: The Making of Federal Campaign Finance Law (1988), Buying the Vote: A History of Campaign Finance Reform (2014) and Campaign Finance: What Everyone Needs to Know (2016). See Presidential Politics for more content on US presidents and the 2016 US presidential election.